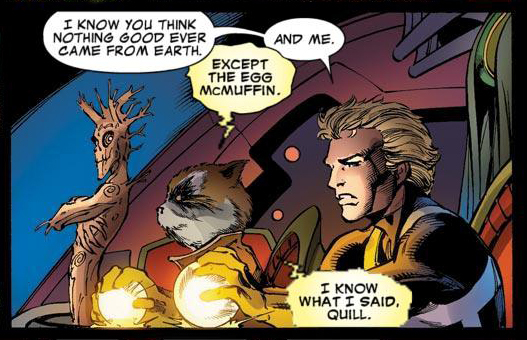 This crisis of faith was brought about by Guardians of the Galaxy #3 (September 2008) by Dan Abnett, Andy Lanning, Clint Langley, Paul Pelletier, and Rick Magyar. Changing gender roles complicate matters sometimes. Painfully. 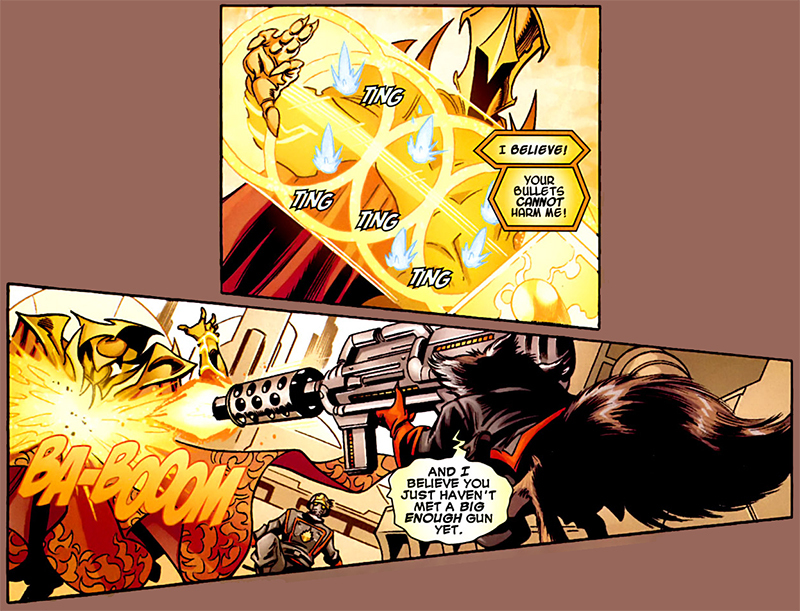 Someone’s been taking pages from Princess Leia’s handbook. 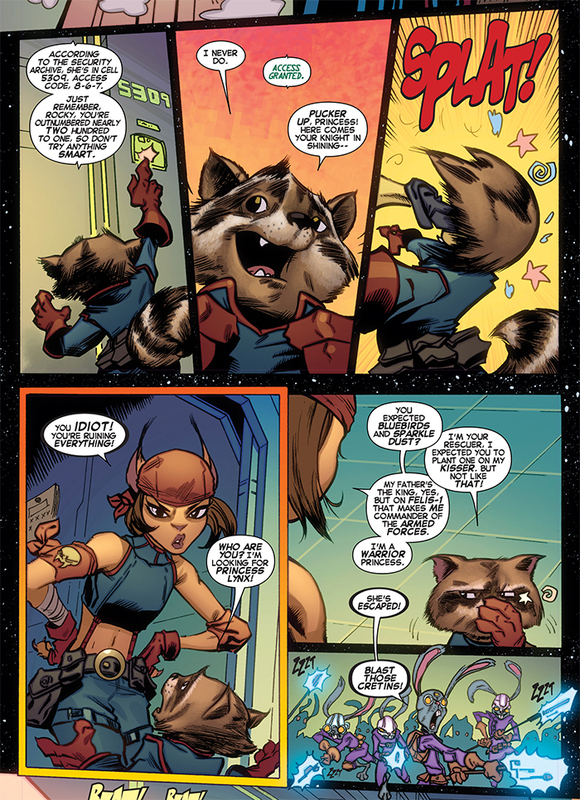 Today’s rescue attempt has been brought to you by Rocket Raccoon #1 (May 2014) by Joe Caramagna, Adam Archer, and Ty Templeton. 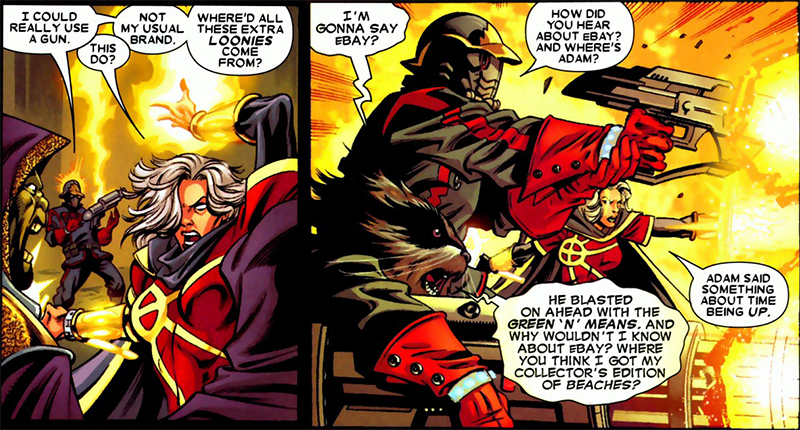 This is how I imagine a discussion with a small, furry version of R. Lee Ermey might go. 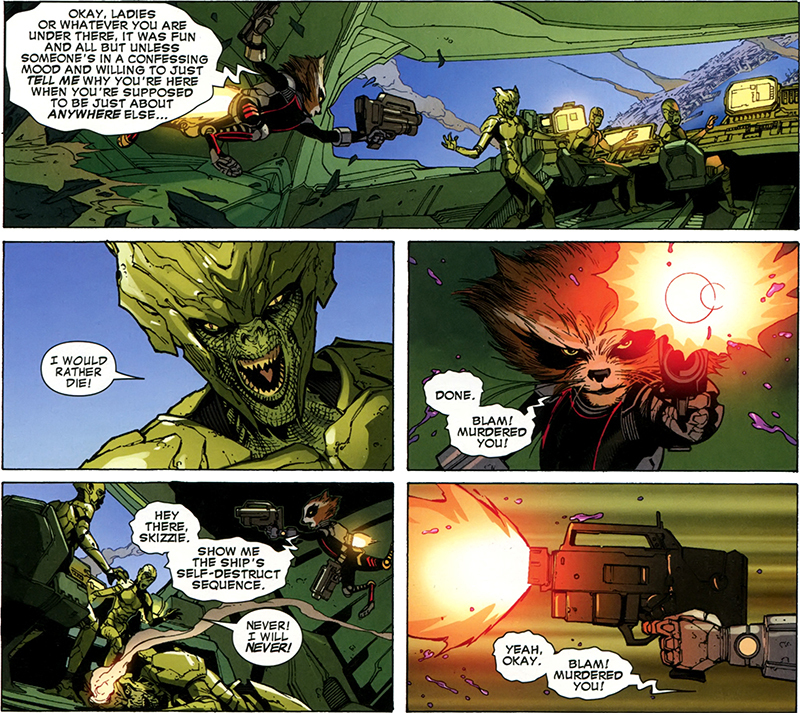 Today’s Rocket Raccoon moment has been brought to you by Guardians of the Galaxy #2 (June 2013) by Brian Michael Bendis, Steve McNiven, Sara Pichelli, John Dell, and Mark Morales.